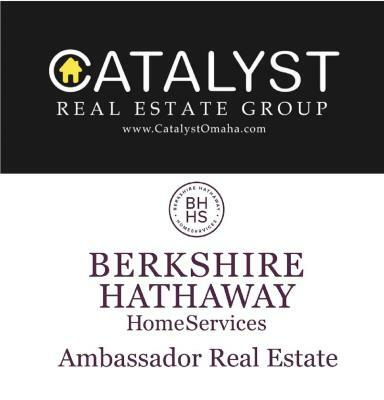 At Catalyst Real Estate, we strive to revolutionize the standard buying and selling process in Omaha. Being the first, middle and last steps in the Real Estate process allow us to fully communicate with our clients to achieve and maximize their goals. We are focused on creating the best possible Real Estate experience for our clients. We believe in supporting the community we serve. Chris Bauer is an Omaha native and graduated from Millard West High School. Chris is a Veteran and served a tour in Iraq before returning home to get a degree in Real Estate and Land Use Economics from the University of Nebraska at Omaha. Chris has been working in real estate full time for over five years and has specialized experience in utilizing real estate as an investment tool. This is what some of Chris' clients have to say about working with him: Chris did an awesome job working with us. I felt like we just kept giving him details, details, and more details about what we wanted for our home. He was very patient working with us the entire time even with us being out of state! He was very professional and we could tell that he really cared. -Justin S. Chris did a great job in helping me find two excellent investment properties in great shape with good tenants at a very affordable price. He was also able to refer me to an insurance broker for great rates on rental insurance. -Lynelle C. Chris was willing to do anything it took to sell our house. He made the buying process go as smoothly as it could. I tell everyone I know who is thinking of moving about how great Chris is. -Abby B. Chris was very helpful in selling our home and getting us into the place we wanted to start our family. We were so impressed, we reached out to Chris again for advice and input on an investment property. Chris helped us find the right home and has offered his experience and expertise in rental investments along the way. He is always quick to respond and he remembers specific things about you, your situation and what you are looking for. He made us feel confident in our decision to buy a home and invest in our future. -Katy C. Chris was very attentive to our needs and our wants when looking for a home. He researched homes a little out of our price arrange and found ways we could afford it. He went above and beyond for us and found us the perfect house for our family. -Corey T. Chris was more than helpful- I really felt like he went above and beyond what we expected. He really listened to our needs and made the “first home buying” experience enjoyable. I plan on recommending him to anyone I know buying a home. -Krystin P. Chris did a wonderful job handling the sale of our house. He represented us well and got our house sold quickly. He was professional, gave good advice and was there when we had questions that needed answers. - Gary B. Kathy and I were extremely satisfied in Chris’ handling of our real estate transaction. We felt lucky to have found him at random. As we were working together, we felt like we were the only ones with whom he was dealing. And after we had made an offer Chris went the extra mile to check out the house at the Open House before submitting the offer. We were not able to attend the Open House and we appreciated this extra touch. Chris kept us informed at each step in the transaction. -John W.